Scratch-off map is a brilliant way how to show on map places you have visited, places included in your wish-list or any other places – only limit is your own imagination! Every scratch-off map is based on precise political or administrative map, supplemented with flags or local coat of arms. Find the country or local municipality on the map and scratch off the golden colour layer. Every map is packaged in a cardboard tube of special design and can be perfectly used as a great gift. 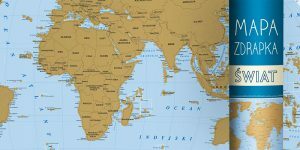 Our experience and geographical knowledges make our scratch-off maps adaptable for any language and might be privately labeled. 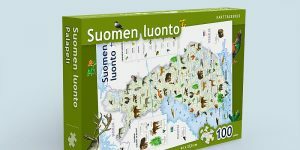 We have done scratch-off map “World” in several languages and Latvia, Lithuania, Estonia, Sweden, Norway and Poland scratch-off maps in their native languages. The first jigsaw puzzle ever was made in 1760 by engraver and cartographer John Spilsbury from London. He took one of his maps and sawn-off outlines of countries from wooden slab. Now technologies are different, but the main idea have remained the same – to learn geography through active playing. For little-ones our Nature puzzle with wild animals is the most suitable. Very special is our round-shaped puzzles – each of them represents one of the hemispheres with its typical wild animals. 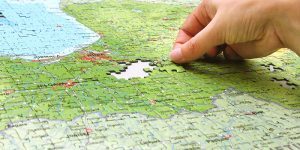 Real “puzzle gourmands” enjoy our World map puzzle and relief map puzzles of countries – each consisting of 1500 pieces. Find our puzzles here! Huge transparent glass screens with interactive maps we can see just in sci-fi movies. As soon as it is not the reality for everyone, our solution are wall maps. Options for use of them are incredibly wide – from schools where they are used as educational visuals, to logistics companies which use postal code wall maps for accurate delivery. Administrative maps are useful for decision makers in local and state governments. Variety of sizes and materials are impressive – paper, plastic, plastic white-board or magnetic board. 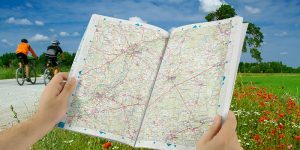 Paper maps might be laminated and framed with plastic or metal rails. Special is map on canva-fabric – not just informative but beautiful design element as well. We are pretty sure that in every car in Latvia we will find some of our road map editions it might be pocket size folded map or maybe tick and very detailed atlas where every household in the countryside is displayed. For queasy customers we offer laminated road maps that are extremely strong. Our bestseller in guide book category is a series of “With a map in nature” – special laminated and Wiro-O binded editions that are convenient for use in rough conditions. 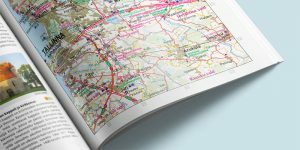 Easy to overview and to see overall information are the best qualities for printed editions that give them possibility to compete with mobile map applications. 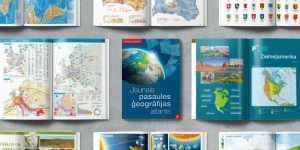 School atlases supplemented with many of thematic maps are great advisers for pupil of different ages in Latvia and Estonia as well. Explorative atlases of history and nature sciences open a new world of processes around us for the users of all ages. The most supreme of our atlases is Great World Atlas – the most voluminous map collection that is ever published in Baltic States. In this edition with weight of almost 4 kg more than 90 thousand of Geographical names are displayed. Find all educational editions here! Mirjam Parmasto, Sales manager, Regio OÜ, Estonia. Mr. Janne Kostamo, Director, Map products of Karttakeskus OY, Finland. 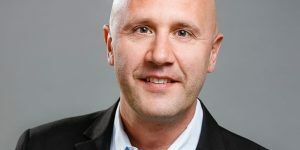 Adam Cholewka, Import/export manager, Lider Serwis, Poland.